Oregano originated in Greece. Oregano is an aromatic herb, belonging to the mint family and is considered a staple herb in many cuisines around the world. It has a strong flavor and brings warmth to dishes, along with a hint of subtle sweetness. It can be found fresh, dried or as an oil, and all are said to have significant health benefits. Oregano is a signature flavor of many Italian, Mexican and Spanish dishes. 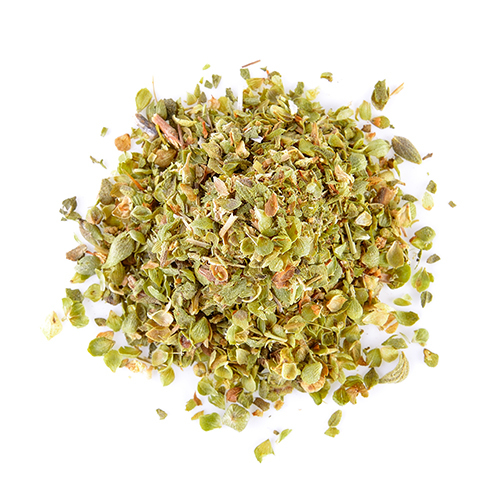 Oregano is closely related to marjoram; in fact oregano is wild marjoram. It is stronger in flavor than marjoram and has different uses in the kitchen. When cooking with oregano you should regard it as an entirely separate herb and use it in a completely different way. Oregano is the ultimate herb to use in tomato bases in pizzas. If you do not think you know the flavor of oregano, try eating a pizza without the herb, or smell a bunch of freshly picked oregano ”“ it should remind you of pizza without you even having to try it. However it is widely used to flavor a number of other dishes, including spaghetti bolognese, chilli and in a bouquet garni to flavor soups, stocks and stews. Oregano compliments a variety of meats and vegetables with strong flavors such as those containing zucchini, broccoli, cauliflower, aubergine and lamb. Oregano also works well with other herbs and flavorings, for example garlic, onion, thyme, basil, parsley, and olive oil. Oregano is a perennial that does well in containers; you can even grow it in a small pot on a kitchen windowsill. Most oregano varieties need full sun. As with most herbs, oregano leaves taste best before the plant flowers. You can begin harvesting when the plants have reached 4-5 inches in height.